All 4 have a nice quiet minds, nice conformations. They should excel in any discipline. 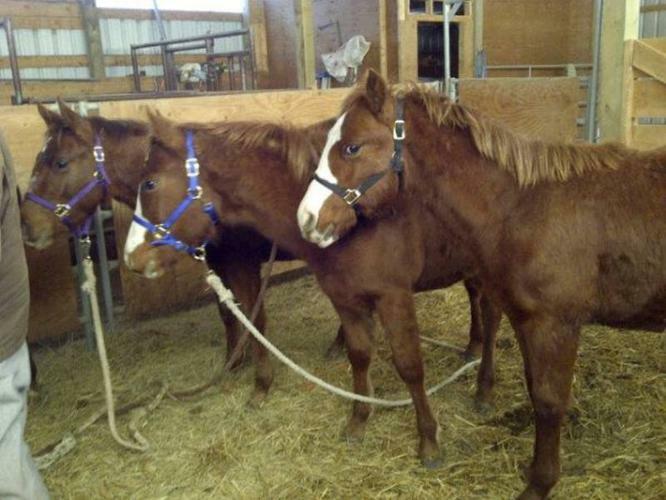 They all have been halter broke and de wormed and will be continued to be played with. They are all bred well, names likes Colonel Freckles, Killians Clabber, Cutter Bill, Peppy San Badger, Dry Doc and many more. We are open to offers, would make a great Christmas present. 2011 Bay Colt - Working Horse Prospect!